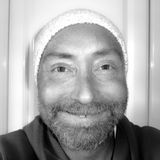 Bruce Bickerton [aka alucidnation] has been writing and producing music since he invested in his first studio equipment in the early &apos;90s after being exposed to the ambient house boom of the late &apos;80s. Eclectronica is a &apos;specialist show&apos; on the award-winning Chill DAB, attracting on average 20K listeners a week. All shows to date are archived here on MixCloud. Bruce has released four successful albums - two on Big Chill Recordings, the second of which, ‘Get Lost’, hit #1 in the Below Zero LP charts and also made #7 in Juno’s ‘Downtempo albums of 2009’. His third album &apos;Aural Architecture&apos; was released on Interchill Records in 2013 to critical acclaim. Since then, Bruce has concentrated on nurturing his own label, Lucid Recordings, using crowdfunding to release limited edition vinyl and CD releases. &apos;Peace Odyssey&apos;, was released during early 2016. The double vinyl album &apos;Paracosmic&apos; was released in October 2018 on 6 Degrees.